Analog phase shifter series is commonly used to control the phase characteristics in the processing of microwave signals and can also be used as phase modulators to control a modulating baseband signal. These versatile analog phase shifter components provide a continuously variable phase response that’s controlled by a single voltage source that delivers almost unlimited resolution with monotonic performance. 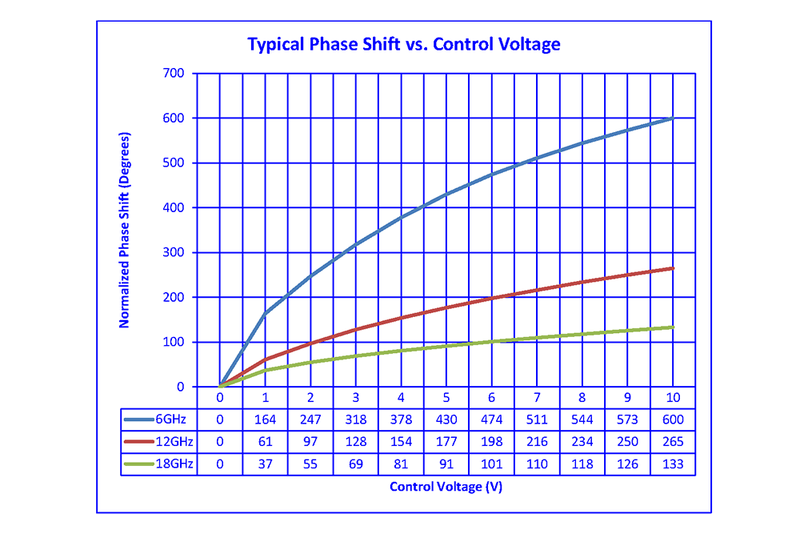 The analog phase shifter control feature is popular for communications applications, radar systems and test equipment. 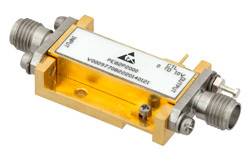 The phase shifter PE82P2000 covers 5 GHz to 18 GHz with a continuously variable and monotonic phase shift range of 0° to 400° typical and 7 dB insertion loss. 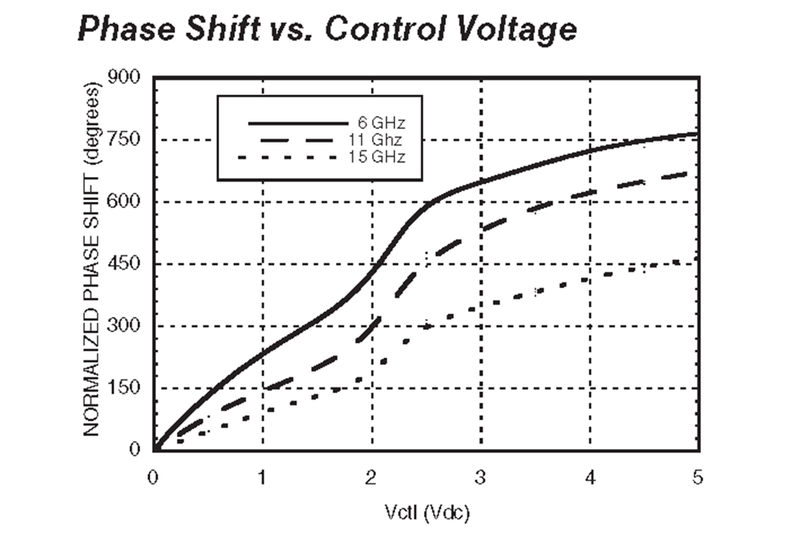 This analog phase shifter control voltage ranges from 0V to +10V and supports a modulation bandwidth of 50 MHz. 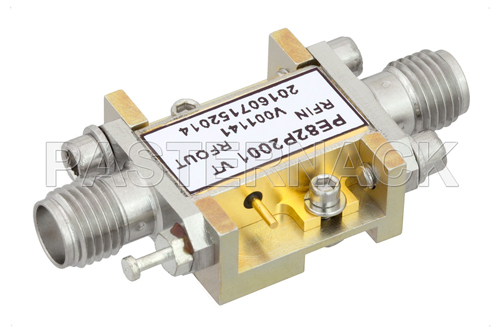 Pasternack PE82P2001 phase shifter covers 6 GHz to 15 GHz with a continuously variable and monotonic phase shift range of 0° to 800° typical and 6 dB insertion loss. The analog control voltage range is 0V to +5V and supports a modulation bandwidth of 50 MHz. Both phase shifter models are available in rugged Kovar packages that feature gold-over-nickel plating and are hermetically sealed. 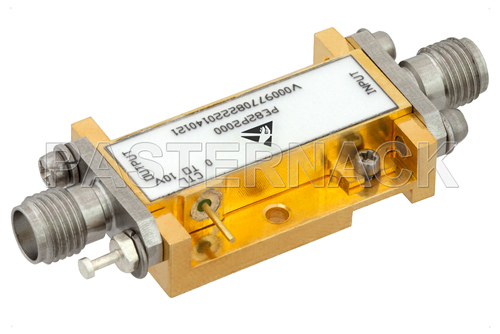 These analog phase shifters are highly reliable and are guaranteed to meet MIL-STD environmental test conditions. 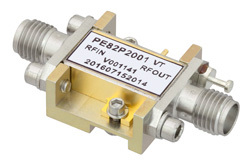 The versatile drop-in package designs are compact and support field replaceable SMA connectors for a coaxial interface, or the pin package can be integrated onto a printed circuit board assembly.